Just outside of the traditional village of Monolithos, located 70 km south west of Rhodes town, you will meet another Venetian style castle. 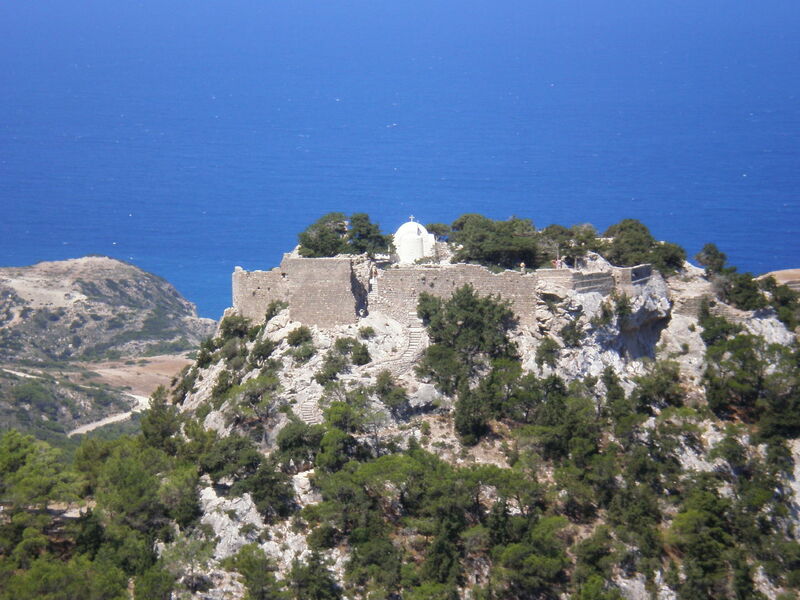 Monolithos castle was built by the Knights of Rhodes in the 1480 AD in order to protect the island from attacks and is placed on a rock 100 m. high; in fact the path towards the castle is so rough that no one has ever managed to conquer it. Unfortunately this castle has not been preserved with most of its parts being completely ruined but still constitutes a wonderful proof of the Medieval history of Rhodes.